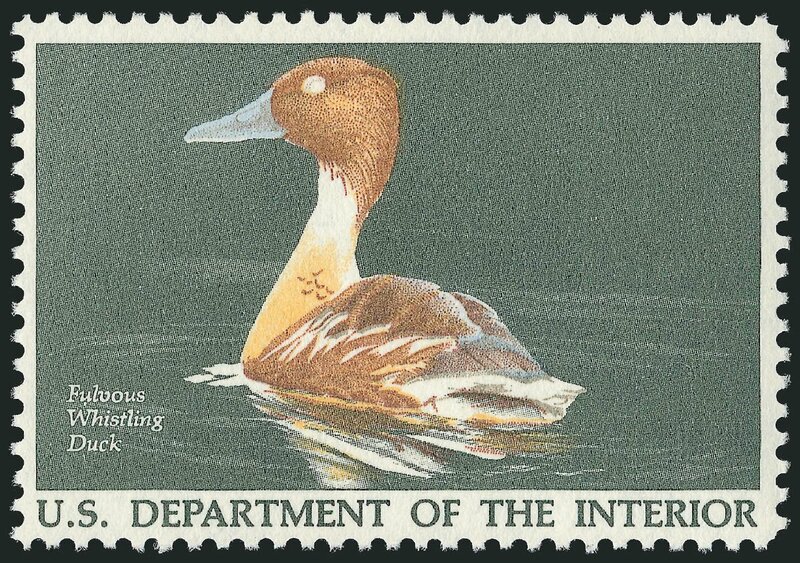 Hunting Permit, 1986, $7.50 Fulvous Whistling Duck, black omitted. 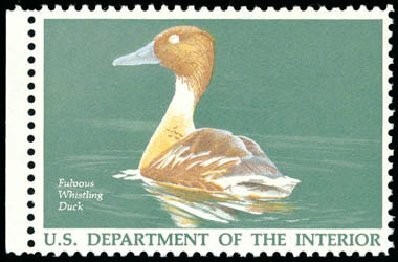 Left margin single, o.g., never hinged, bright and fresh, Very Fine, a rare color omitted error with only 62 examples recorded, with 2002 P.S.E. certificate. Scott No. RW53a; $2,000. 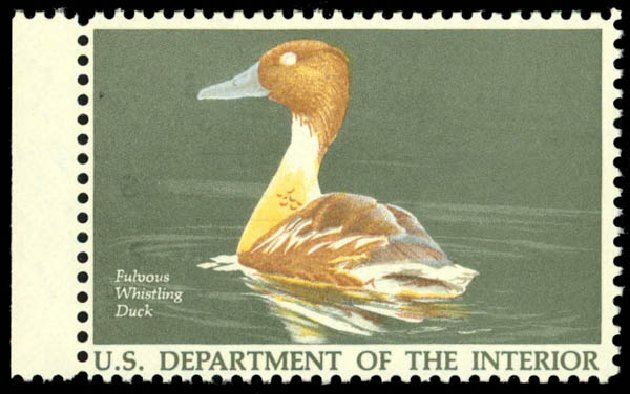 Hunting Permit, 1986, $7.50 Fulvous Whistling Duck, black omitted (Scott RW53a), left margin single, o.g., never hinged, outstanding example of this extremely scarce color missing, a pristine mint example with strong color and striking appearance, Very Fine. Scott $2,000. Estimate $1,500 – 2,000.